Get Ready for some Serious Event Envy | ASTRALCOM - Content Strategy, Conversion Marketing and Customer Acquisition. Experiential marketing entails the creation of distinctive personalized branded experiences. Rather than simply relaying marketing messages digitally or via other mediums, it involves the creation of an opportunity for your targeted audience to engage with your brand personally. While these experiences can be event-centric (conferences, concerts or festivals), they are typically not oriented toward a specific event. Rather, they dwell more on interactions with a brand. The primary objective of experiential marketing is to facilitate a branded experience. This experience is often tangible and offline, yet can still incorporate online engagement. For example, a branded hashtag can be utilized to let participants discuss their experience on social media. This sort of marketing campaign can prove to be very effective. Lean Cuisine recently offered a good example of an experiential marketing campaign. The company curated a gallery of weighing scales in New York at Grand Central Station. It then went on to encourage ladies to “weigh in”. Yet, these scales were actually boards that allowed participants to choose just how they wished to be “weighed”. Instead of focusing on pounds or anything linked to body image, they were measured in other interesting ways. These included things like going back to school at 55 or taking care of 200 homeless kids. Even providing for their own four children was one of the ways these women “weighed in”. None of these participants interacted with any Lean Cuisine product. Nor were they asked to try out anything or answer questions put to them. Nevertheless, the experience was branded to ensure the women would associate it with Lean Cuisine. For instance, their Twitter feed as well as branded hashtag were prominently displayed. This helped to make it convenient for the participants to share their experiences. 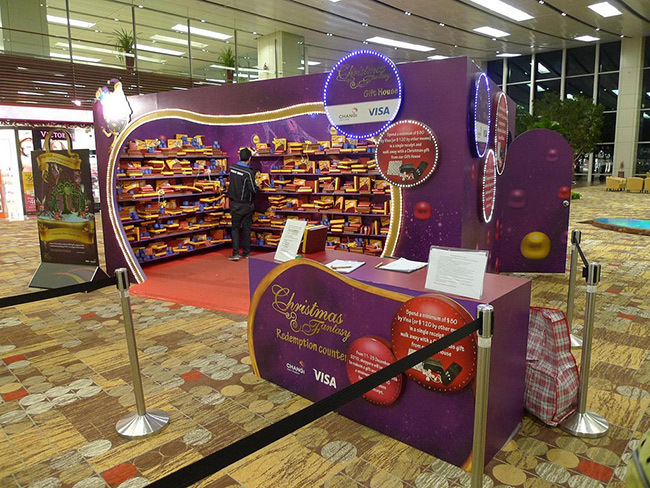 This experiential marketing campaign managed to generate more than 204 million impressions. For the other seven cool experiential marketing campaigns detailed by Amanda Zantal-Wiener, check out her recent post. Personalizing customer experiences is a key to reaching today’s savvy consumer. While striving to grow a customer base, the concept of marketing to an audience of one can be very effective. By leading customers through repeated personalized experiences, profitable relationships can be fostered and developed. Learn more about the power of marketing to an audience of one in this insightful post. Then give us a call at 800.536.6637 so we can have a conversation about how to best implement these strategies for your brand.